Unless the price changed, DC's company spine logo changed, or the country it was printed in changed, then probably not. DC isn't usually like Marvel changing cover material or paper quality to the point that you can spot physical differences between first and subsequent printings. So no way to tell from the outside. To each his own but I've never understood the desire for first prints of a trade that's just a collection of reprints unless something has actually changed with the design or build quality of the book. This second printing is likely going to be identical in every single way except for one tiny word in the indicia. It's that late 80's/early 90's comic book mentality still shining through. I also agree, but I didn't collect in the late '80s/early '90s. I have seen some changes in the Marvel volumes in later editions, but not print runs. Sometimes subsequent editions have a thinner paper that makes the book slimmer, which is a plus for me. On the other hand, they seem to significantly raise the prices as well. Again, this is new editions, not just a second printing. You really like the thinner paper? Some printings are practically see-through with the thin paper Marvel is using these days. And that thinner paper is much more prone to getting wavy with the slightest change in humidity. I find that absurd for premium items like Omnibuses. Dark Horse and IDW use some real quality paper for their premium editions. And in Dark Horse's case, they somehow provide more content in that format for a lower price than Marvel or DC. I guess it depends on the paper. I've been reading the new X-Men Omnibus #3 and it seems fine, but I haven't compared it to an older omnibus. There is a listing for Golden Age Superman Volume 3 on Amazon coming out in December. They are really pumping these books out at a fast rate. Is there any word about Superboy(or Legion of Superheroes) or Superman Family(Lois Lane and/or Jimmy Olsen) Omnibuses? I would love to see a Legion Omnibus, even though I have most of the Archives. I was pleased to see them pushing into the Bronze Age with Brave and the Bold. I am counting the days until that one comes out. 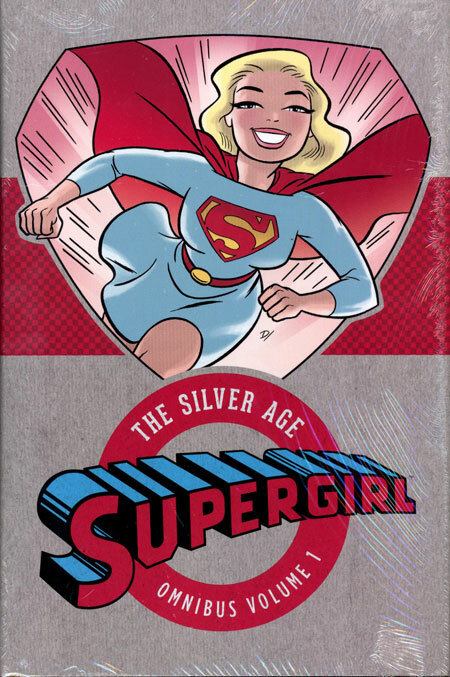 Pretty tempted by the Supergirl Silver Age Omni with the Darwyn Cooke cover. Anyone collecting all of these? 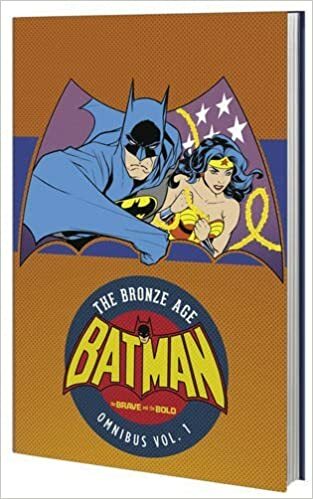 Just saw that not only is there a preorder page for Supeman Golden Age 2 on Amazon, but also a volume 3 as well. I did bite on the Supergirl volume, but in general I'm not a big Golden Age guy. Even Silver Age can be hit and miss for me. Ive got Superman, Batman. Wonder Woman is on pre-order. Also have Silver age Flash and Supergirl. They are all solid releases. I probably would if I had the space. Now that DC is publishing omnibuses I actually want, they can add up quickly in terms of space. Amazon actually has it for 55% off right now, at $45.38, which would be lower than IST. I might pre-order to lock in that price, even though I already have the two Aparo B&B HCs. I'm glad they are skipping around. Here's hoping for a Silver Age Batman Omnibus. I always preferred the Sci-Fi Batman. I'm thinking about getting Wonder Woman Omnibus Vol. 1 by George Perez. Is it worth getting? It's spectacular, one of the best omnibuses I've purchased in the past year. The art looks great. I haven't read my WW Perez omnibus yet, but it looks awesome on my shelf. Instock Trades has the second JLA Silver Age omnibus for 50% off (so $50), but I just skimmed the covers of #s 65-75, and they're before my time so I'll pass. Not that I mind reading stuff before my time, but I find that era of Justice league a little dull. I haven't been thrilled by the flat silver covers they've been using for the Silver Age titles in this line. It's a pretty ugly trade dress that doesn't sell newcomers on the Silver Age art. I still buy them of course but it makes the omnibus look cheap in person. 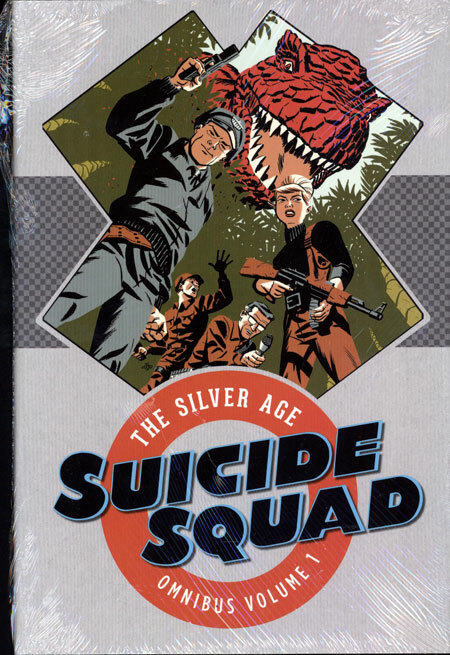 That's actually a Michael Cho cover on the Suicide Squad Omnibus cover, but it certainly evokes that Cooke style found on the other Golden and Silver Age Omnibus covers that Cooke did draw. Cho also did The Flash: The Silver Age Vol. 1 TPB cover in the same style. I'm not interested in the Silver Age stories but I would definitely buy an oversized art book with all of these Cooke (and Cho) Golden and Silver Age covers collected. Thanks! Yeah, I wasn't sure if it was Cooke, but it reminded me of The New Frontier so I just went with it.